He fought a good fight, but the coalition against him was unyielding. It happened before, in same Ogun State, when an incumbent governor also had to create a new party and anoint a candidate to succeed him. At that other time, Gbenga Daniel did not exhibit the kind of sheer gusto and bravado, with which Governor Ibikunle Amosun pursued the election of a successor. His courage was unshaken and he believed in himself. 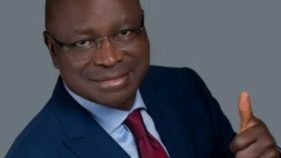 He wanted to prove that two wrongs could make a right, after what the leadership of his All Progressives Congress (APC) served him. If Amosun had succeeded to win the governorship election for his choice candidate and their Allied Peoples Movement (APM), he would have made undeniable political history. Political observers saw this coming. They saw it when the APC steered itself into crisis with the primaries. Though Amosun outsmarted the contrarians from Abuja, the battle was to shift to another plane. The rejection of the primary that favoured Amosun and his team by Abuja signaled dreary outcomes and the manifestations were not wholesome. The disrupted APC presidential campaign rally in which the President was not well handled further compounded the situation for Amosun. Yet, his spirit was not subdued. In the Presidential and National Assembly elections, the people of Ogun not only delivered the votes to help President Muhammadu Buhari realise his second term target, but they also rewarded the Amosun with a Senatorial ticket. It is significant that people of Ogun Central Senatorial Zone kept faith with the outgoing governor by voting him to represent them at the Upper Legislative Chamber. Ogun deserves to have an experienced hand to lead from the front in a polity where all politics is local. What Amosun fought to achieve most was a situation in which Ogun will not be a satellite for other players in the Southwest to trade with. Going to the Senate, he will still be able to have an eye on the state and all that concern her. 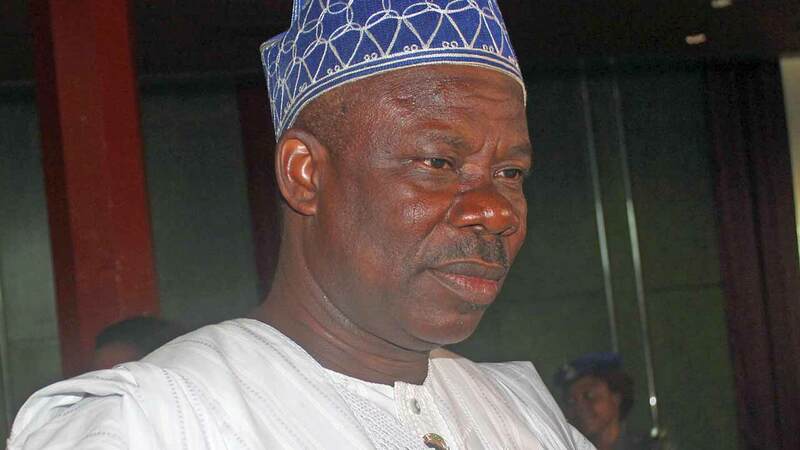 In terms of physical development, irrespective of political leaning, citizens and visitors tend to agree that Amosun and his team have, in the last eight years, delivered an expansive transformation agenda that has seen the state capital and several other cities and major towns in the three Senatorial zones greatly remodeled. The Mission To Rebuild Ogun State (MITROS) gave the administration an anchor upon which the five point-cardinal programme is situated – affordable and qualitative education; efficient health care delivery; agricultural production and industrialization; affordable housing and urban renewal; and rural and infrastructural development/employment generation. Based on the programmes, the state has witnessed the design and development of a blueprint to re-engineer her economic, infrastructural and industrial sectors. The state’s Internally Generated Revenue (IGR) profile has improved massively from the pittance figures of about N730 million monthly in 2011 to over N7b . The urban renewal has opened up the state and its capital to investors. As at the last count, over 357.11km standard roads, 15 flyovers have been completed and a total of 3,125 roads had also been maintained and repaired in all the three senatorial districts of the state. During the fourth Investor’s Forum in Abeokuta, the governor said additional 13 bridges were constructed over various rivers in the three senatorial districts, while 10 more are on-going in the state. “In addition to these, several road construction projects have been earmarked… They include construction of an additional 100km of Ogun standard roads, construction of 25 Ogun standard semi-urban roads spanning a total distance of 293.34km throughout the state and construction of another 171 Ogun standard rural feeder roads spanning 1,282.50km in all the 20 local government areas and 37 local council development areas in the state,” all these he promised to deliver before the expiration of his tenure in May. Though the expansion of the 32km Sango-Ijoko-Agbado-Ojodu Abiodun is still under construction, it is doubtful the governor could complete it, but when completed, the project is capable of opening up the area for commercial activities and rapid development. In the area of education, Ogun under Amosun has initiated 26 standard model colleges, though not all have been completed, across the senatorial zones, to complement the existing secondary schools within the state. Another area this administration has received thumbs-up is that of the Homeowners’ Charter programme, initiated in 2013. It is a lofty idea to bridge the gap of homeowner’s requisite documentation of their properties. Not less than 100,000 property owners have acquired their Certificate of Occupancy (CsoO), at a cheaper rate and faster. It also assisted property owners to regularise the legal status and documentation of their residential property, built without approval on private land or built illegally on government owned lands. The programme has been providing discounts of up to 78 per cent on the usual cost. The scheme was also aimed at providing data for the medium-term planning for provision of roads, schools, hospitals and other essential services. According to government, it will also address issues of unrecorded properties, while thousands of houses in the state without building plan approval, CsoO and other title documents, will be properly documented within a short period. The state has also excelled in the area of agriculture. Just two years ago, the state joined the league of Rice producing states, when it launched the state branded MITROS Rice. It also launched a rice-processing factory, the first of its kind in the state, to create jobs for farmers to aid smooth processing of the produce within the state. The governor noted that the MITROS Rice, could not have come at a more auspicious time, than when government is talking about ensuring food sufficiency, and, diversification of the economy from its over-dependence on crude-oil earnings. 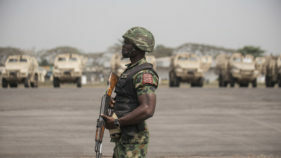 On security, an expert told The Guardian that the fact that the state has become peaceful today owes largely to an effective governance style that promotes selfless and unbiased commitment to all segments of the state, fairness in deployment of state resources and a clear infrastructure re-modeling mission blueprint. 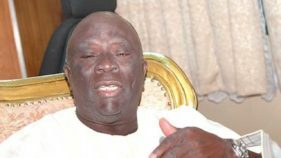 A party chieftain who spoke with The Guardian on the condition of anonymity warned that if the rate at which misguided attacks are targeted at the outgoing governor, especially from members of the APC, it will not allow the state to get out of its present political challenges fast and early enough for a healing process. The chieftain fears that if the APC in Ogun becomes like the PDP in the state, which has not come out of crisis for 10 years, then the political future of the state will at best be chaotic. He wants politicians to close ranks and desist for casting aspersions. After all, the elections have come and gone. And for Amosun, he would go to the Senate without his desire to continue to oversee Ogun State and the works he has put in place for eight years. Yet, he will remain a senior ranking member of the NASS and in the APC, with the capacity and experience to join others in the political development of the state.